Magnolia is an interesting flower, full of interesting history. We're not going to go into that history right now, it's enough to simply say that this Magnolia - Peel N Stick will make a unique dorm room decorating idea for your college dorm. This Magnolia - Peel N Stick features magnolias of course, some fully open, some in half blossom. 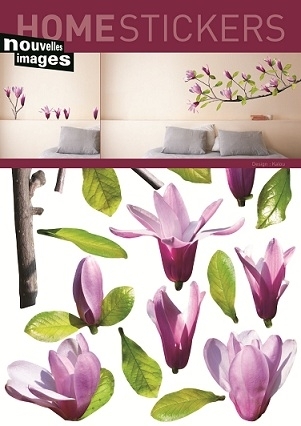 Magnolias have a powerful look to them and will make any dorm room look like an enchanted garden. This Magnolia - Peel N Stick is also an easy dorm room decorating idea because Peel N' Stick is the only kind of dorm wall decoration that guarantees no mess, no ripping off paint, and no sticky residue. The stickers of the Peel N' Stick peel off and on seamlessly. 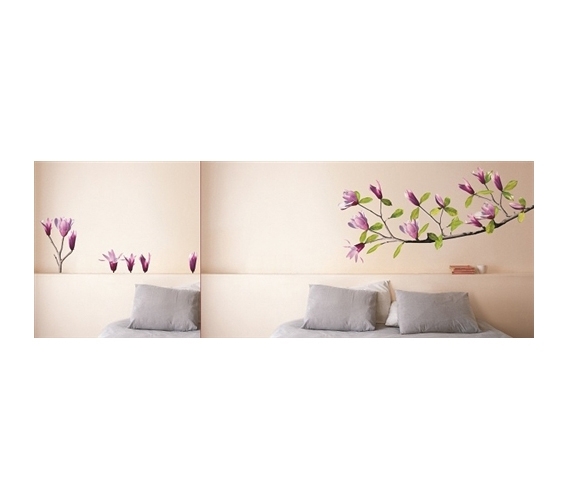 With this Magnolia - Peel N Stick, you get gorgeous magnolia flowers and easy dorm decorating options. What more could you want?